Dev Petty is the author of the popular picture book I Don't Want to Be a Frog. She used to work in movies, but now she writes picture books, which are like smaller, paper movies when you think about it. Dev is great at word jumbles, makes a pretty good sandwich, and lives in the San Francisco Bay Area, which she thinks is the best place ever. Lauren Eldridge had to take a break from sculpting blocks of cheese into cats and unicorns to write this bio. She first studied landscape architecture in school but later decided to earn a graduate degree in teaching. Lauren now builds city streets and house dragons in her basement in Madison, Wisconsin. 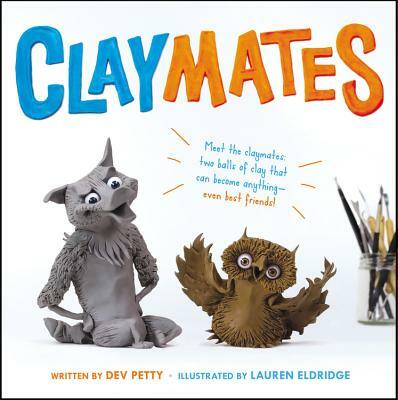 Claymates is her debut picture book.